Free servicing for approved used Saabs | What Car? 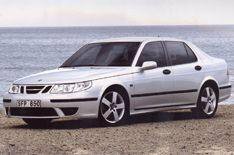 Buy an Approved Used Saab this year and you'll get free servicing for two years in an offer worth up to 700. Parts, labour and VAT are included in the deal. Buying an Approved Used Saab of up to 10 years old, with fewer than 100,000 miles on the clock also includes a standard multi-point mechanical check, 12 months' Saab AA Assistance and a 12-month or 15,000-mile guarantee. Go to www.saabapproved.co.uk to find out more.